We’re really not the, “that’s good enough“ type. We’re more of the “the best or bust” and the “it can always get better” breed. It’s the back-story to how Hero Clean came about. And while on the relentless pursuit of clean, we’re also trying to avoid mediocrity at all costs. Just taking care of the normal wear and tear type of dirty is too easy. Anyone with a bathtub and some soap can whip up something that will clean ‘normal’ dirt. We wanted to conquer your worst — your stinkiest, muddiest, and greasiest messes – to be tested by the baddest most x-treme athletes, veterans, first responders, tradesmen, and, yes, parents. “I just did a Tough Mudder. 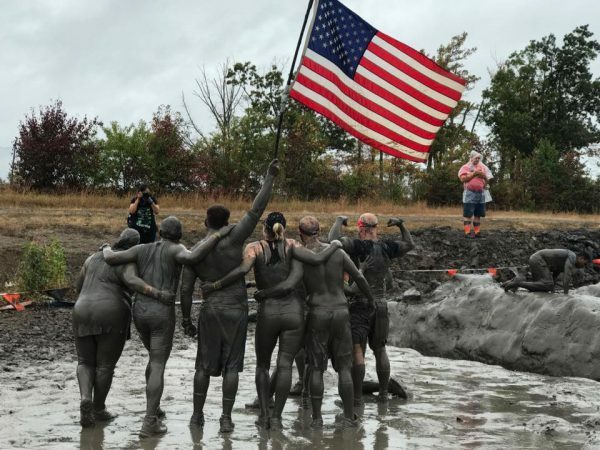 The muddiest of all mud runs. I put the clothes in the tub with one block of hero clean and hot water and soaked them for about 15 minutes. When I went to squeeze them out the water practically came out clear. Awesome job! !” -Sarita R.
“I’m a woman who can’t stand the heavily scented detergents on the market. Most seem weak and have required multiple washes to remove heavy stains from living in a house under construction and odors like mold and mildew, I was elated when after using your detergent for the first time on my moldy cleaning rags, the stains and moldy odor were all successfully removed. Thanks for your amazing product, will save lots of time and money going forward.” -Eva H.
“TRUE STORY: Hero Clean detergent also gets CAT PEE out of military gear!!! Our cats were mad that we left them one day and proceeded to pee ALL OVER hubby’s TA 50. Usually I take All Free and Clear, Borox and Clorox 2 and that works. All I had on hand was Hero Clean. I winced at the thought of wasting detergent cause I figured that it wouldn’t come clean. IT DID!!!! I was SHOCKED.” -Amber C.
“Perfect amount of scent that doesn’t give headaches and is able to clean and remove stinky football practice smell from jerseys and gear! That’s all – just wanted to thank you for making such a great detergent and let you know you’ve got an entire family that’s a fan!” -Debbie H.
“By far the best Laundry Detergent and Odor Eliminator!! I wash Dirty Filthy Dog Gear and my husbands Work Clothes and Training Gear plus I have 3 little Boys who are Disgusting and I’m telling you BEST Cleaning Products out there!” -Meagan E.
If we can remove mud post-Tough Mudder and the scent of cat pee from military gear — the question is, what can’t we do? We invite you to put Hero Clean to the test on your worst and then let us know how we did at hey@hero-clean.com. If you want in on what these people are having, you can purchase the complete Kit for $25 and free shipping right here.